August 6, 1977 William Alexander Clarke Bustamante, the first Prime Minister of Jamaica, died. Born William Alexander Clarke on February 24, 1884 in Hanover, Jamaica, he took the name Bustamante to honor an Iberian sea captain who befriended him in his youth. After traveling the world, Bustamante returned to Jamaica in 1932 and became a leader in the struggle against colonial rule. In 1937, he became treasurer of the Jamaica Worker’s Union. As a result of these activities, he was imprisoned for subversive activities from 1940 to 1943. 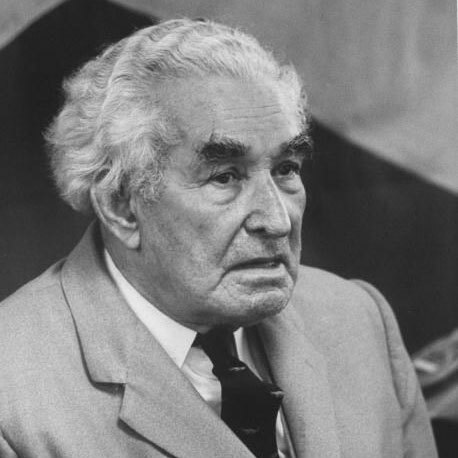 Jamaica was granted independence in 1962 and Bustamante served as the independent country’s first prime minister from 1962 to 1967. In 1969, Bustamante was proclaimed a “National Hero of Jamaica.” Biographies about him include “Alexander Bustamante and Modern Jamaica” (1975) and “Bustamante: Anthology of a hero” (1978). September 22nd in African American History – Jeremiah Alvesta Wright, Jr.